Signal lost detection added to Decklink LL source. CC support added to Nvidia NVENC profile. 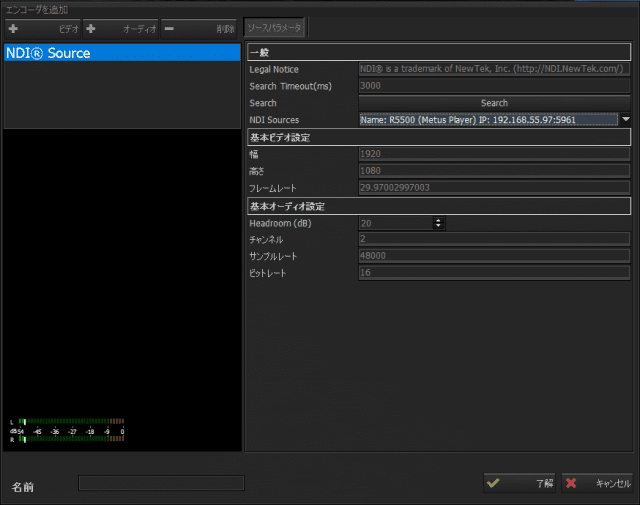 AVID H264 profile is added. Decklink sdk is upgraded to 10.6.6 . 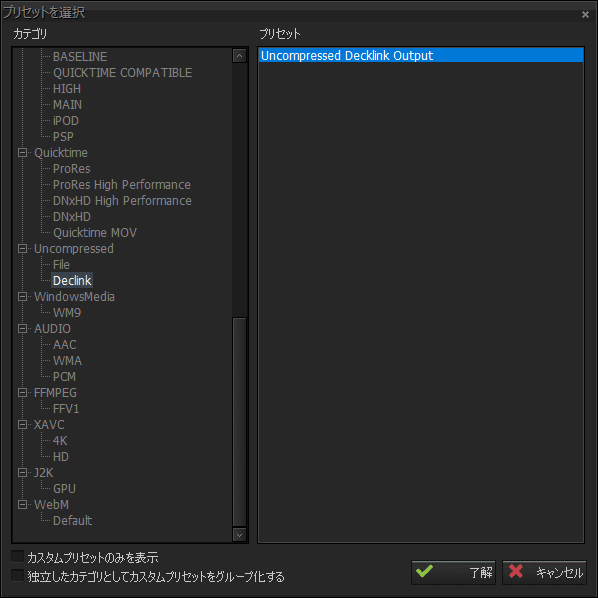 Decklink DS mode is removed. 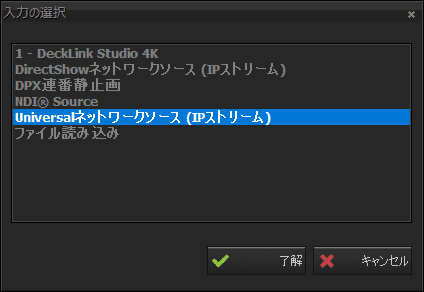 Input source of Decklink WDM mode is adjusted as video-audio embedded. Decklink WDM mode audio problem is fixed. Increasing memory usage when PC is locked is fixed. DNxHD OP1a audio bug when input is 24bit, is fixed. WebM green colored output file when input is v210 is fixed. 24 bit audio input support added to Decklink LL. WebM (VP8/9, Vorbis) profile is added. 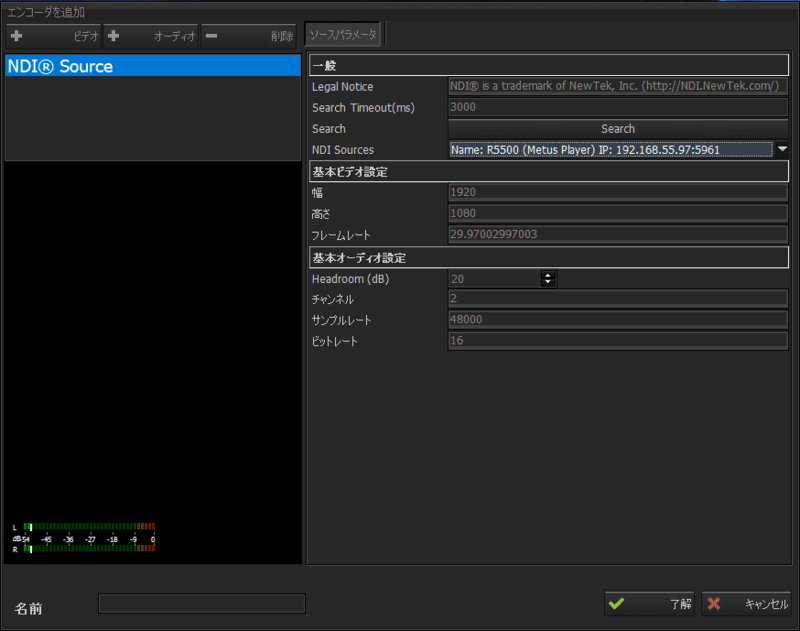 TimeCode support added to DV/DVCPro (only MXF and MOV muxed) profiles. 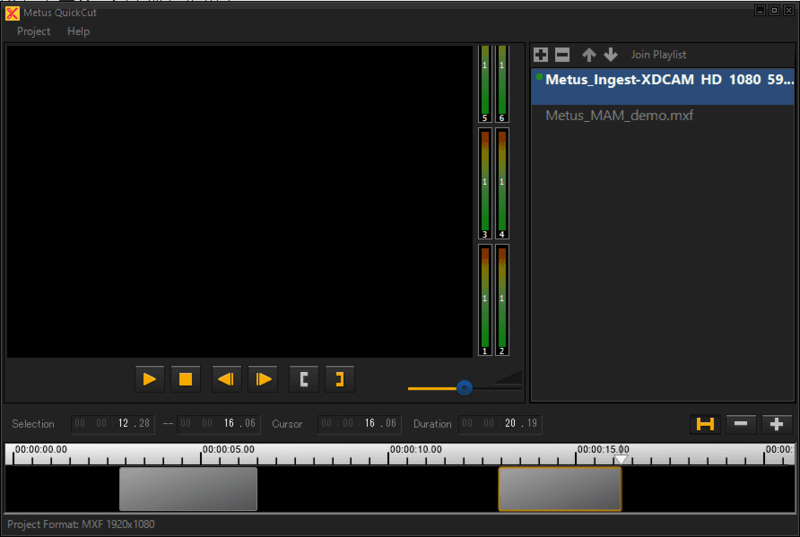 MOV muxer added to DV/DVCPro profiles. AJA Input forwarding (E to E) added. [subfolders] tag is added to file naming tags. Only applicable for Folder Watcher transcode operations. Batch capture feature is activated for standard license. Decklink DS scan type problem is fixed. ProRes HP Scan type problem is fixed. Metadata save problem for P2 and DNxHD formats is fixed. Magewell boards support as generic DirectShow source, is added. "AddMarker" and "ClearMarkers" commands are added to API commands. Ability to save the marker list as XPSF file is added. 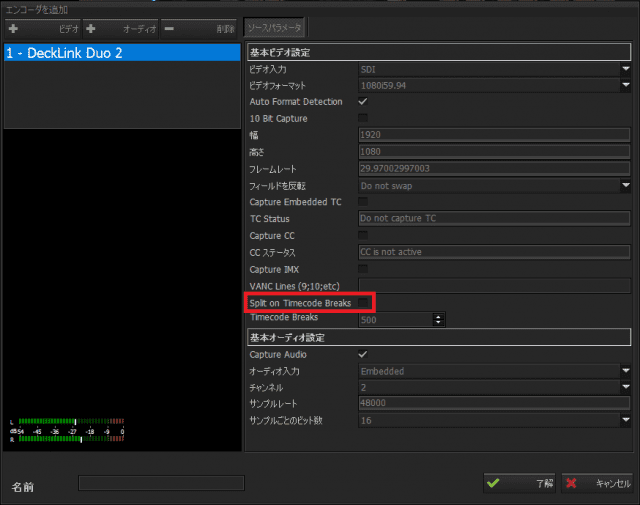 ProRes HP Input TimeCode Problem is fixed. JFIF Codecs Problems is fixed. XDCAM IMX Overlay Crash problem is fixed. ProRes HP Multiple Encoder Syncronized Start Problem is fixed. Application crash that occures occasionally while configuring the "network stream source" is fixed. Inability to delete P2 files which were captured using the MXF muxer option, was fixed. Missing TimeCode settings on P2 profile is fixed. ProRes HP TimeCode settings and audio mixer settings reseting problem on project load is fixed. AAC mixer settings problem is fixed. When capturing in scheduler mode, incorrectly calculating the "date" and "time" tags in "file naming template" after the first scheduler task issue was fixed. In order to better distinguish enabled and disabled user interface elements, the dark user interface theme is improved. Showing only the custom presets and grouping the custom presets under a separate group, options are added to preset selection dialog. Displaying the friendly name for serial COM ports in port selection lists, is added. 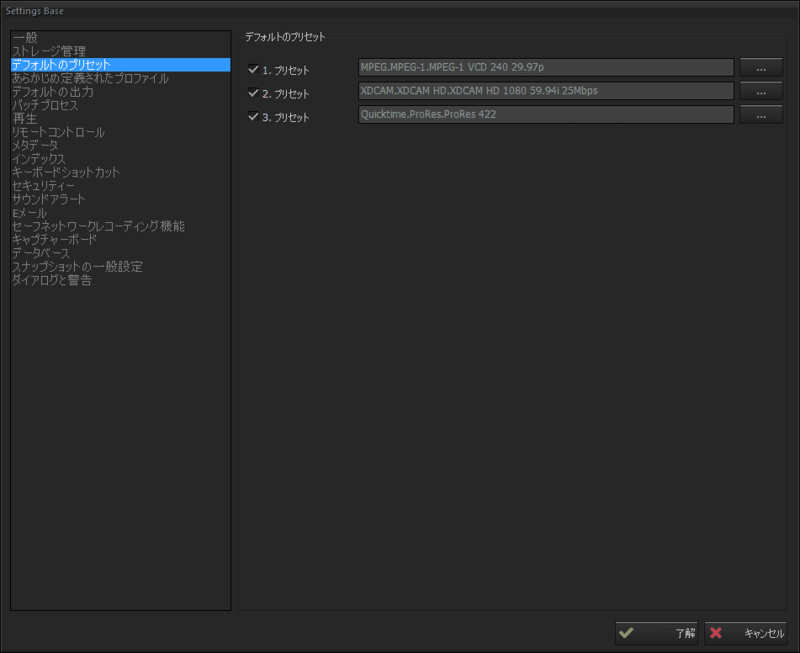 AVID JFIF scan type check is removed (it is possible to use with progressive input). AVID XDCAM HD Syncronized start crash problem is fixed. CUDA and NVENC max bitrate problem that can be set lower than avg bitrate, is fixed. NVENC frame rate adaptor problem with TS muxer is fixed. Not displaying the profil buffer value on encoder list if the profile's name is too long, is fixed. 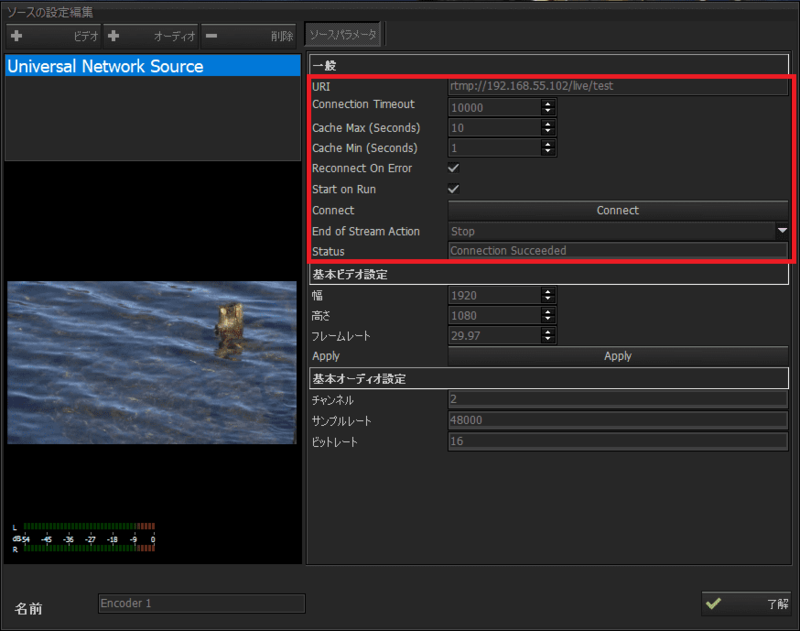 Frame rate option and frame rate adapter filter is added to NVENC compression. Aspect Ratio option is added to all ProRes presets. "Deinterlace video" option is added to video preview options. AES3 elementary stream encoding replaced with LPCM elementary stream encoding. Transferring the AAF files as soon as they are created, when the transfer function is used, is abolished. Transfer failure for Avid files when the Avid Media Files path is set to a network path, is fixed. AVID timecode reset problem is fixed. Intel default software encoding selection problem is fixed. NVENC TS Bitrate problem is fixed. Correctly generating the time coded file names for the records started and splitted with scheduler, feature is added. 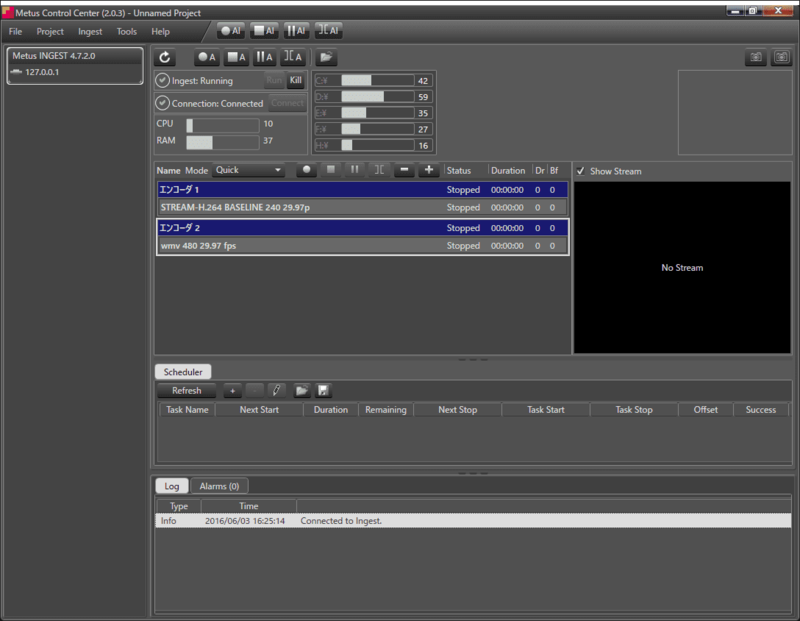 Controlling multiple Ingests using Ingest Control Agent with syncronized timecode feature is added. CC and TimeCode support added to the compressions that use FFMPEG mov muxer. NVENC constant bitrate problem is fixed. 24bit audio support added FFMPEG mov muxer. DeltaCast 20bit audio crash problem is fixed. P2 Class 50 presets are updated. In overlay settings, "preview only" (no recording) option is added. DNxHD/DNxHR in MOV is added. Apple ProRes 4444 is added. New compression for DNxHD in MXF OP1a is added. 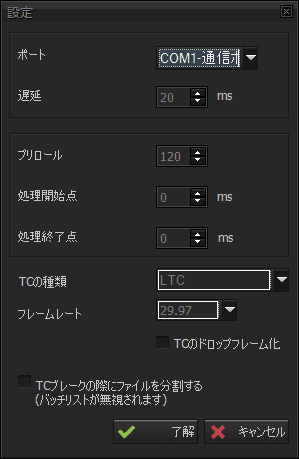 Audio level sensitivity of LTC parser is decreased. No audio data receive from system audio card issue, is fixed. When "Safe Copy" and "Edius edit while ingest" options are active, reading the file for "edit while ingest" is cancelled. Connect to Ingest from all available IP addresses on the Ingest machine "via telnet control" option is added. In folder watcher, transcoding the file "only includes audio" to another file problem is fixed. 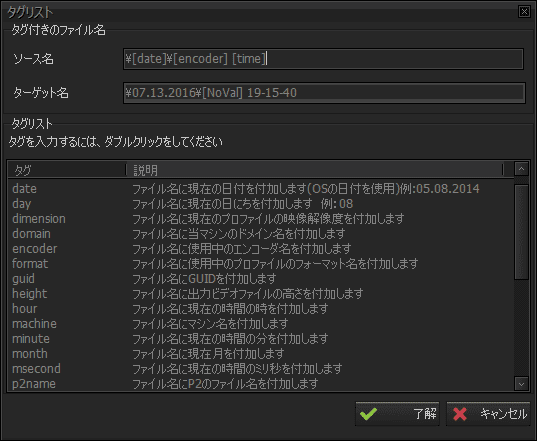 AVID Compressions transcode buffer management is improved. File created event error on MPEG compression when source is file, is fixed. AVID XDCAM HD/EX 2 hours capture limit problem is fixed. On decklink, after pause all, start/stop all call failing is fixed. Encoder stop issue, when signal lost occurs is fixed. DNxHR HQX crash problem is fixed. 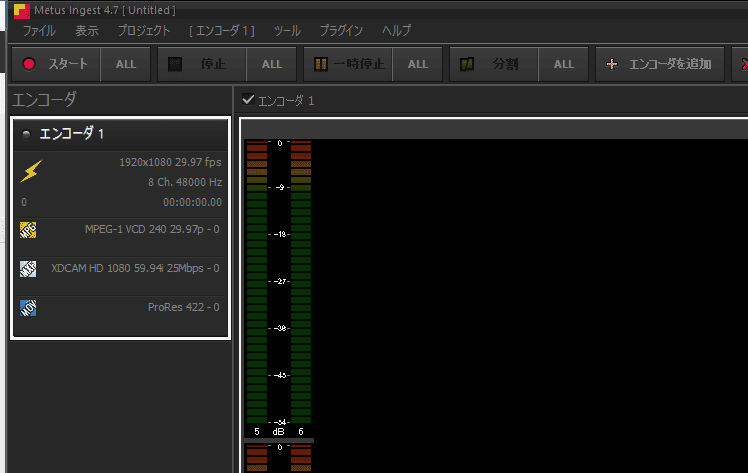 When only generic audio source exist, no audio data receiving problem is fixed. AMT sdk new version is not support following codecs any more, therefore AVID AVCIntra and AVID XAVC presets are removed from setup. ProRes wrong interlace information problem is fixed. IP-Source Overlay problem is fixed. Decklink DS-Reinitialize Capture WMV Bug is fixed. Graph could not switch to running state problem when streams to channel is used, is fixed. 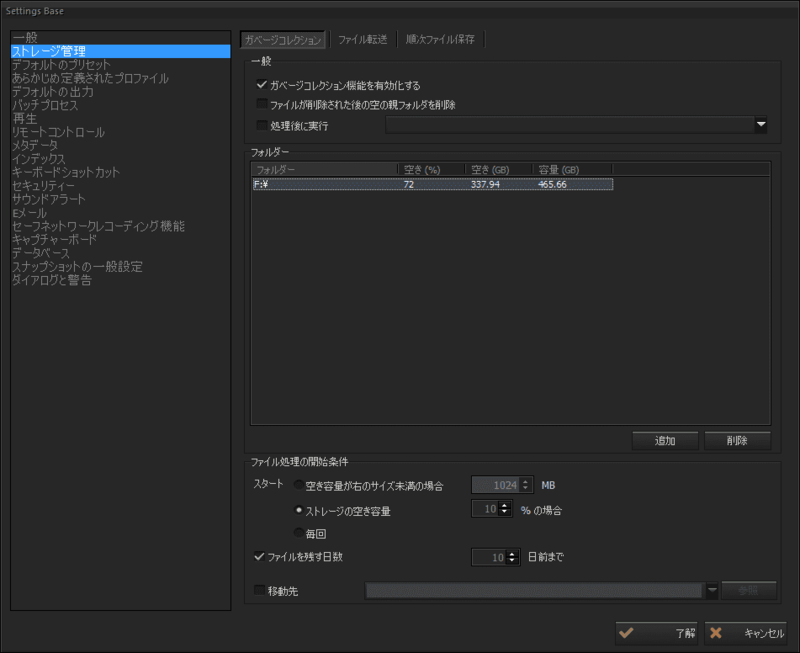 AVID XDCAM transcode finalizing problem is fixed. AVID record problem when source is IP, is fixed. More than one file creation reporting in ProRes, is prevented. The crash that happen when IP source used with DV profiles, is fixed. Freeze problem when removing H264 profiles is fixed. If adding new encoder is cancelled, existing encoder's audio preview stopping problem is fixed. 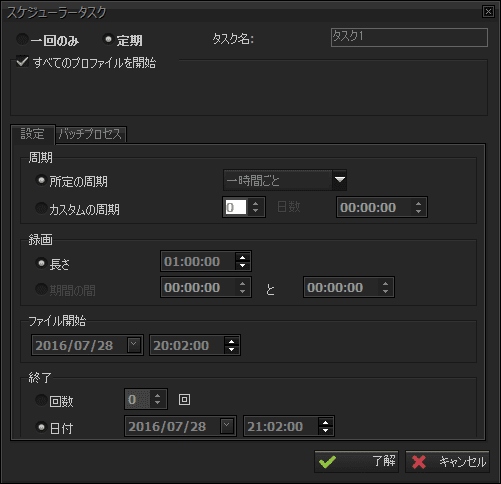 Drop timecode option added to AVID Compressions. Deltacast generic audio dshow filter problem is fixed. BlueFish generic dshow filter problems (audio settings, save/load settings) are fixed. WDM option added to Decklink Source types. RGB color space crash problem on preview is fixed. Profile error while adding profile is fixed. 'string index' problem for transferred files is fixed. If maintenance date is expired, 'expire date will be show instead of build date' is added. Aja audio input problem (audio input do not match with video input) fixed. Apple ProRes/Quicktime Safe network copy problem fixed. ProRes Timecode re-implemented as it wrappes in 24 hours and allows negative values. NVENC RTMP Stream problem fixed. Tape Name property added to AVID wrappers. Re-init option is removed for DRC cards. DRC cards are no longer supported. 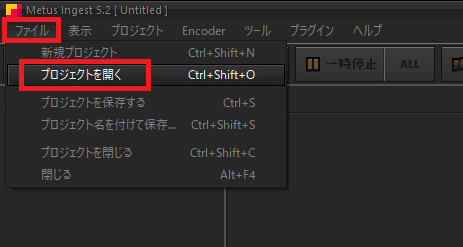 Syncronized start/stop of encoders according to TimeCode source is added. Dialogs and Warnings settings panel added on options window. File transfer support with FileCatalyst is added. Copy P2 files twice when transferred as file inside file problem is fixed. Not be able to create drop frame mxf file problem, is fixed. NV12 Color Space Support is added. NVENC Crash when there are more than 2 Profile with Auto Split, is fixed. 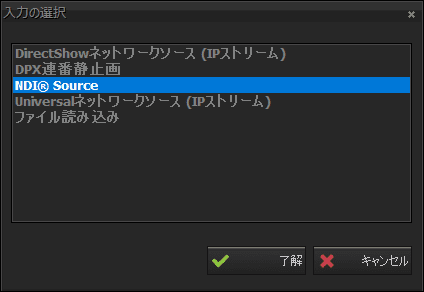 More than 10 IP Source adding is supported. IP Source Audio Selection Error fixed. IP Source Filter Settings Freeze problem fixed. Generic DShow Source settings load/save re-implemented. NVENC 10 Bit to 8 Bit switch crash fixed. GPIO signal losing, and not triggering the action most of the time when the input level is OFF, problems are fixed. To be able to save and load Generic DShow Source's settings with project, is added. AJA source list problem(when project openned with in use aja input), fixed. AJA CC bug (The 8th input corruption, when first input's CC activated), is fixed. And rarely seen, crashes or hangs when aja is closed, prevented. 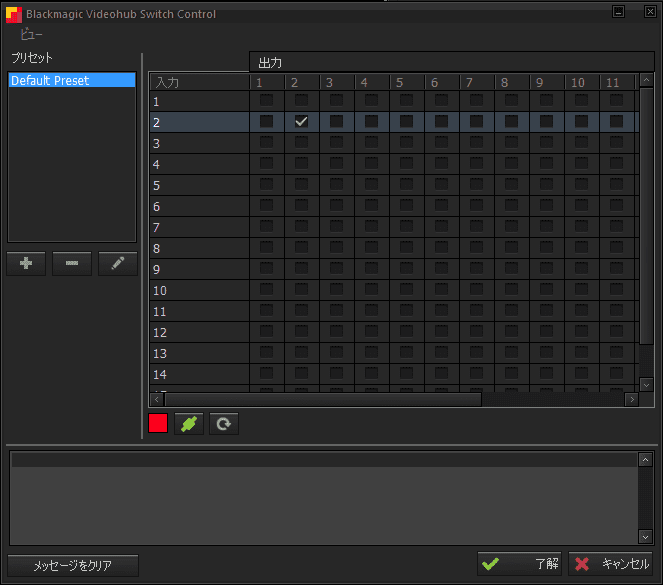 QT Custom TimeCode bug fixed. 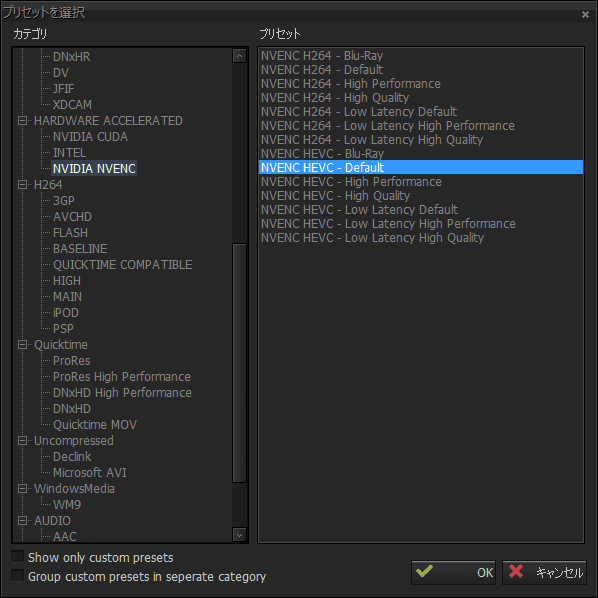 NVIDIA HEVC encoding is added. And NVIDIA presets are rearanged. Transfering file to FTP as a same file structure added. If adress has folder names when transfering to FTP, error of creating folder at first time is fixed. Apple ProRes freeze problem on split is fixed. Aja source problem when openning project that use existing aja input, has fixed. Same aja input simultaneous usage is prevented. File source crash problem when CC is enabled, is fixed. Apple ProRes color space problem on encoded video is fixed. Video and multiple Audio stream selection added to IP Source. Audio preview mode setting added to options menu. Decklink Out crash when tape recoding is used, fixed. LTC Support from sound board. Fixed various bugs related tape recording. Spanish Language support is added. Decklink SD CC support improved. CC support added to AJA (Only HD). NVENC crash problem when system supports CUDA and does not sport NVENC, has fixed. Frame rate adapter problem on live sources has fixed. 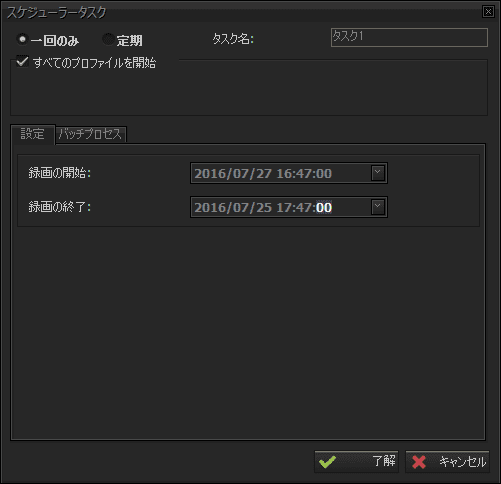 Not releasing the memory, after encoding is finished, has fixed. Data loss while closing AVID codesc has fixed. 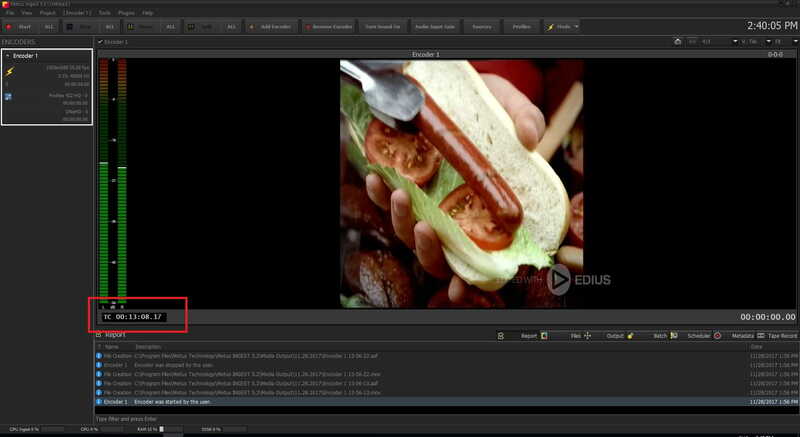 Picture distortion on New AVID XDCAM HD captures has fixed. ProRes High Performance crash problem when input is 10bit is fixed. 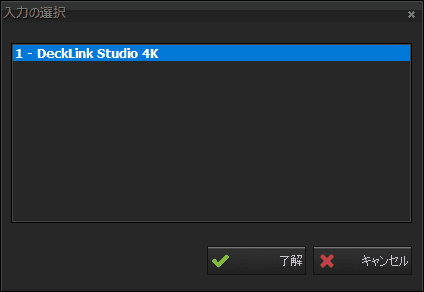 10 bit selection on decklink output is removed. New AVID codecs (XDCAM, DV, AVCIntra, XAVC and JFIF) added. CUDA/NVENC not supported message is shown on profile window if there is no cuda card on the system. TimeCode support on AJA improved. Extensive memory pool usage caused by preview fixed. Performance of AVID codecs improved. CC support added to QT and ProRes. The crash problem when IMX option selected on Decklink LL source settings is fixed. AMT source filter has modified to support AVID files than DNxHD. While transcoding DV source, crash problem on dynamic media change fixed. Audio preview enabling when encoder source settings changed fixed. Green video problem with 10 Bit CUDA capture is solved. Missing database update files were added to setup. 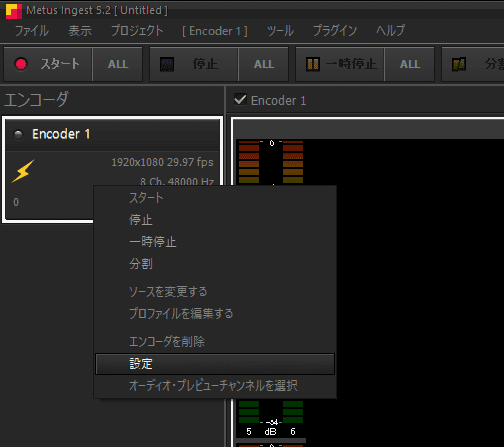 Enable/disable encoder stream command support via Ingest Agent was added. Metus QT RAM control added. Safe network copy feature added to Intel, CUDA, and QuickTime. ProRes codec presets have been rearranged and selecting in the setup window has been disabled. Aspect ratio correction auto filter settings source added. DV 486i presets were added. Interface is changed to resize and crop settings. The interface has been changed. Dark theme is used.